Before Game Of Thrones developed into the worldwide phenomenon it is today, David Benioff and Dan Weiss were attempting to win over George R.R. Martin, in a quest to gain the rights to his "unfilmable" A Song Of Ice And Fire series. No stranger to the world of television, Martin was wooed by Benioff and Weiss' vision for an HBO series, and the rest would soon become history. Though Martin's involvement in Game Of Thrones waned around the fourth season, he has remained supportive of the series, despite the fantasies of some more contentious book purists. 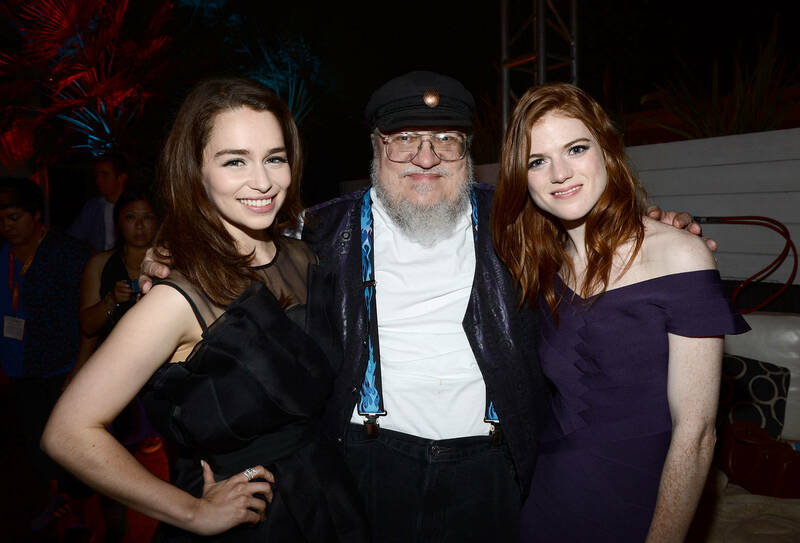 And while many remain thirsty for that new Winds Of Winter joint - nearly ten years deep, and winter still hasn't come - George has taken a moment to reflect on the upcoming final season of Game Of Thrones. Speaking with The Hollywood Reporter, George opened up about the ongoing book series, and his desires to remain active in the world of Thrones. "I know it's an end, but it's not much of an end for me," he admits. "I'm still deep in writing the books. We saw five other sequel shows in development. I think I'm going to be hanging around Westeros while everyone else has left." For those patiently waiting the sixth installment of ASOIAF, rest assured that George is still plugging away, one keystroke at a time. " I've been in isolation. My loyal staff — I have a couple of them with me — have chained me to the typewriter. They're making me eat healthy food. It's horrible!" For more from George R.R. Martin, check out the full interview right here. In the meantime, check out our top 10 best Game Of Thrones episodes here.